The Decoration for Meritorious Services was an honour conferred until 1986 by the Government of the Republic of South Africa, usually for political services to the country. The appointments were made by the State President of South Africa. The State President of the Republic of South Africa was the head of state of South Africa from 1961 to 1994. The office was established when the country became a republic in 1961, and Queen Elizabeth II ceased to be monarch of South Africa. The position of Governor-General of South Africa was accordingly abolished. From 1961 to 1984, the post was largely ceremonial. After constitutional reforms enacted in 1983 and taking effect in 1984, the State President became an executive post, and its holder was both head of state and head of government. Pieter Willem Botha,, commonly known as "P. W." and Die Groot Krokodil, was the leader of South Africa from 1978 to 1989, serving as the last Prime Minister from 1978 to 1984 and the first executive State President from 1984 to 1989. Viljoen was the youngest of six children of Magdalena Debora "Lenie" (de Villiers) and Gabriel Francois Viljoen. He was married on 20 April 1940 to Dorothea Maria Brink (17 September 1917 – 5 October 2005), with whom he had one daughter Elizabeth Magdalena (Elna) Viljoen. After finishing school he went to work in the Post Office, and thereafter at the Afrikaans language newspaper, Die Transvaler , edited by Hendrik Verwoerd, who later became Prime Minister. Die Transvaler was a South African newspaper founded in 1937 with the aim of promoting Afrikaner nationalism and supporting the Transvaal branch of the National Party. Hendrik Verwoerd was its first editor. Hendrik Frensch Verwoerd[fə'vu:rt] was a South African politician, sociologist and journalist. As leader of South Africa's National Party he served as the last prime minister of the Union of South Africa from 1958 until 1961. In 1961 he proclaimed the founding of the Republic of South Africa, and continued as its prime minister from 1961 until his assassination in 1966 by Dimitri Tsafendas. The House of Assembly was the lower house of the Parliament of South Africa from 1910 to 1981, the sole parliamentary chamber between 1981 and 1984, and latterly the white representative house of the Tricameral Parliament from 1984 to 1994, when it was replaced by the current National Assembly. Throughout its history, it was exclusively constituted of white members who were elected to office predominantly by white citizens, though until 1960 and 1970, respectively, some Black Africans and Coloureds in the Cape Province voted under a restricted form of suffrage. Alberton is a city situated on the southern part of the East Rand of the Gauteng Province in South Africa. It was incorporated into the Ekurhuleni metropolitan municipality in the year 2000 and celebrated its centenary year in 2005. According to the 2011 census conducted by Statistics South Africa, it has a population of 121,536; but this figure excludes the black township of Thokoza, which has a population of 105,827. Alberton is described as a typical bedroom community, one which is primarily residential in character, with most of its workers commuting to work in nearby suburbs or cities. The town has multiple access roads to all major freeways in Gauteng and is situated on the banks of the Natal Spruit close to the major urban centres of Johannesburg, which lies 15 km (9 mi) to the northwest - and Pretoria - which is 76 km (47 mi) to the north. Alberton has an elevation of approximately 1,570 m (5,150 ft) above sea level. Johannesburg is the largest city in South Africa and one of the 50 largest urban areas in the world. It is the provincial capital and largest city of Gauteng, which is the wealthiest province in South Africa. While Johannesburg is not one of South Africa's three capital cities, it is the seat of the Constitutional Court. The city is located in the mineral-rich Witwatersrand range of hills and is the centre of large-scale gold and diamond trade. 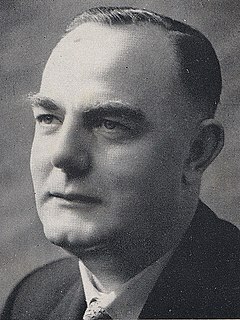 After Vorster's resignation as a result of the Muldergate Scandal in 1979, Viljoen held the post of non-executive State President from 4 June 1979 until 3 September 1984. The State Presidency during this time was a ceremonial post, like that of the Governor-General, which it replaced in 1961. Under the 1983 Constitution, the last of Apartheid, the position of the State President was changed to a more powerful executive position. Viljoen retired and was replaced by P. W. Botha, who until 1984 had been the executive Prime Minister. After Viljoen retired from public life he maintained an interest in politics thereafter. He remains the second-longest serving President of South Africa after Nelson Mandela, Jacobus Johannes Fouché and Thabo Mbeki. The Prime Minister of South Africa was the head of government in South Africa between 1910 and 1984. Nelson Rolihlahla Mandela was a South African anti-apartheid revolutionary, political leader, and philanthropist who served as President of South Africa from 1994 to 1999. He was the country's first black head of state and the first elected in a fully representative democratic election. His government focused on dismantling the legacy of apartheid by tackling institutionalised racism and fostering racial reconciliation. Ideologically an African nationalist and socialist, he served as President of the African National Congress (ANC) party from 1991 to 1997. The President of the Republic of South Africa is the head of state and head of government under the Constitution of South Africa. From 1961 to 1994, the head of state was called the State President. Balthazar Johannes "B. J." Vorster, served as the Prime Minister of South Africa from 1966 to 1978 and as the fourth State President of South Africa from 1978 to 1979. Vorster was known for his staunch adherence to apartheid, overseeing the Rivonia Trial in which Nelson Mandela was sentenced to life imprisonment for sabotage, and the Terrorism Act, the complete abolition of non-white political representation, the Soweto Riots and the Steve Biko crisis. He conducted a more pragmatic foreign policy than his predecessors in an effort to improve relations between the white minority government and South Africa's neighbours, particularly after the break-up of the Portuguese colonial empire. Shortly after the Internal Settlement in Rhodesia, in which he was instrumental, he was implicated in the Muldergate Scandal and resigned the premiership in favour of the ceremonial presidency, which he was forced to give up as well eight months later. Roelof Frederik "Pik" Botha, was a South African politician who served as the country's foreign minister in the last years of the apartheid era. He was considered a liberal – at least in comparison to others in the ruling National Party and among the Afrikaner community – but the bulk of his career was spent defending South Africa's apartheid system of racial segregation against foreign criticism. The following lists events that happened during 1984 in South Africa. The following lists events that happened during 1983 in South Africa. The following lists events that happened during 1978 in South Africa. The following lists events that happened during 1979 in South Africa. The following lists events that happened during 1982 in South Africa. The following lists events that happened during 1915 in South Africa. The Herstigte Nasionale Party is a South African political party which was formed as a far-right splinter group of the now defunct National Party in 1969. The party name was commonly abbreviated as HNP, although colloquially they were also known as the Herstigtes. The South African Bureau for State Security was established in 1969 and ultimately replaced by the National Intelligence Service (NIS) in 1980. The Bureau's job was to monitor national security. It was headed by Hendrik van den Bergh. Alwyn Louis Schlebusch was a South African politician, the only holder of the title Vice State President of South Africa from 1 January 1981 to 14 September 1984. He was an Afrikaner with a surname of German origin. He was born in Lady Grey, Eastern Cape. He was the son of Charel Johannes Schlebusch and Elizabeth Cornelia Myburgh. James Thomas Kruger was a South African-born politician who was part of the conservative National Party government which championed apartheid. He rose to the position of Minister of Justice and the Police in the cabinet of Prime Minister John Vorster from 1974 to 1979. He was also President of the Senate from 1979 until 1980, when it was abolished. The State Security Council (SSC) was formed in South Africa in 1972 to advise the government on the country's national policy and strategy concerning security, its implementation and determining security priorities. Its role changed through the prime ministerships of John Vorster and PW Botha, being little used during the formers and during the latter’s, controlling all aspects of South African public's lives by becoming the Cabinet. During those years he would implement a Total National Strategy, Total Counter-revolutionary Strategy and finally in the mid-eighties, established the National Security Management System (NSMS). After FW de Klerk's rise to the role of State President, the Cabinet would eventually regain control of the management of the country. After the 1994 elections a committee called National Intelligence Co-ordinating Committee was formed to advise the South African president on security and intelligence as well as its implementation. The National Intelligence Service (NIS) is a defunct intelligence agency of the Republic of South Africa that replaced the older Bureau of State Security (BOSS) in 1980. Associated with the Apartheid era in South Africa, it was replaced on 1 January 1995 by the South African Secret Service and the National Intelligence Agency with the passage of the Intelligence Act (1994). Hendrik Johan van den Bergh was a South African police official most famous for founding of the Bureau of State Security (B.O.S.S. ), an intelligence agency created on 16 May 1969 to coordinate military and domestic intelligence for the government as well as to suppress political dissidents. He was known as "Tall Hendrik" on account of his height. ↑ "Marais Viljoen". The Independent. London. 10 January 2007. ↑ "Former state president Marais Viljoen passes away". Mail & Guardian. 5 January 2007. ↑ "Former state president Marais Viljoen passes away". Mail & Guardian. 5 January 2007. Archived from the original on 12 March 2007. Retrieved 2007-01-05. ↑ "Viljoen funeral shows SA 'moving forward'". Business Day. 15 January 2007. Archived from the original on 29 September 2007. Retrieved 2007-01-05.